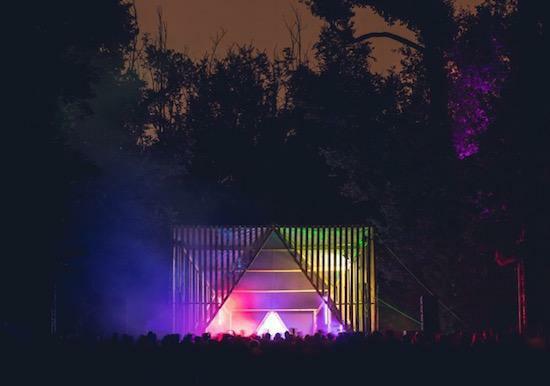 This year's Terraforma Festival is just around the corner, taking place in the unique woodland surroundings of the 18th century Villa Arconati outside of Milan, Italy, and now the final acts have been announced for this year's edition. Newly announced to play are Helena Hauff, Flanger (Atom™ and Burnt Friedman), Paquita Gordon, Dynamo Dreesen, Francesco Cavaliere and Claudio Fabrianesi. They all join the previously announced likes of Biosphere, Charlemagne Palestine, Beatrice Dillon, Adrian Sherwood, Lee Gamble and more. The festival takes place from July 1-3 and promotes sustainable living as well as a focus on experimental music. You can find out more information here and get tickets here. If you're a fan of letting people know what you're attending on Facebook, head here.